The more I write these days, the more I realize sometimes your work falls into your lap. Most of the time that turns into a story about Notre Dame joining the ACC or Notre Dame’s rivalry with Michigan coming to an end. Not that someone is in the fight of their life. Chuck Pagano remains less than a week into a battle with Acute Promyelocytic Leukemia (APML) that by all accounts appears winnable. It’s still a fight that no one ever wishes to encounter. Chuck had been feeling fatigued for some time, but what NFL coach doesn’t. Especially when this coach had battled his entire life just to get to this spot, being a head coach in the National Football League. It was bruising that was occurring that led his wife Tina to push for a medical diagnosis. An appointment last Wednesday turned into a hospital stay by Wednesday night that will last the better part of the next six weeks. The treatment plan will last up to two years. Approximately 1,300 adults are diagnosed with acute myeloid leukemia each year and 10-percent of that group is diagnosed with what Chuck will be fighting. The median age for this division of the disease is 45 years-old. 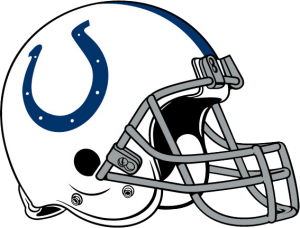 The great news for Chuck, his family, team, organization, and Colts fans is that this is a very treatable disease. The next few weeks will be difficult from a treatment standpoint, which is why Pagano will be hospitalized for four to six weeks. After that point, his treatment can be done on an outpatient basis. It will still be some time before Chuck can resume a “normal” level of activity, and Jim Irsay alluded to that fact in the Monday morning press conference. “I don’t expect Chuck to be ‘all-in’ again this season,” said Irsay. You could see Pagano have some level of contribution to the team, coaching from the press box, consulting with the team, etc, but that’s a secondary goal right now. Getting healthy and beating this disease is job one. Fans can send notes of encouragement to PO Box 535000, Indianapolis, IN 46253. That’s the Colts general address and no flowers can be accepted. How will this affect this team, and this season? Who knows? It’s so early in the process. It was stressed by Arians during his portion at the podium that football can be a cold business and that his team’s job now is to move on as best they can and prepare for the Packers. Bruce also cited that’s exactly how Pagano would want it. Will this become a rallying point for this team this season? It certainly could. Already on Twitter, the hashtag #ColtStrong has been replaced by #ChuckStrong. By all accounts, Chuck Pagano is quite the fighter. He never would have made it to this point in his career if he wasn’t. Ryan Grigson and Jim Irsay each spoke of the foundation already laid by Chuck in his brief tenure as the Colts head coach. I bring this up because it’s those same qualities that will help Pagano get through this fight, his most important fight. And it’s those character traits that Chuck has attempted to pass on to his young team. Sunday was going to be a tough hill to climb against the Packers. Expect to see an inspired football team at Lucas Oil Stadium. If the Colts can get the surprise win, there also might be an instantaneous march to the hospital with a game ball in tow. This entry was posted in Indianapolis Colts. Bookmark the permalink.